Last week I asked for readers to share their garden blogs with us. I just took a delightful trip through Sonia Zamborsky's garden by visiting this post that she shared from her blog. Although Sonia's blog isn't just about gardening, I learned a lot about Sonia and her gardens through her blog. I definitely learned enough about her to help confirm Dr. Richard Ryan's theory that "gardeners are nicer people". In fact, this year I've decided to participate in the Grow a Row program, where the Capital Area Food Bank pairs gardeners with food banks and other nonprofits that feed the hungry. Click here to read more of Sonia's gardening posts. 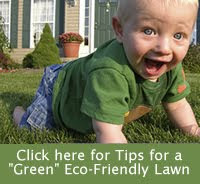 Thanks, Sonia, for inviting the Metro DC Lawn and Garden Blog readers into your garden!